How To Surface Your Business's Contact Information in Google? A lot of people use Google every day in order to find information about businesses that they deal with. These can be online retailers, or local restaurants. 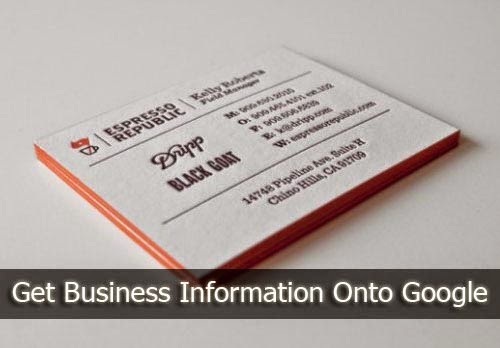 Often, they're looking for specialized information about a business, such as a contact number, email or physical address, or opening/closing hours (for a physical walk-in business). If you run a business, you can help Google recognize the most important information about your business, and make it more likely to surface that information to searchers looking for your business. A businesses' most important information is typically found on location pages, or a "Contact Us" page on a company's website. Google can extract the relevant information from these pages once it is able to identify them. Here are some recommendations for helping Google identify and surface this information. Google usually displays the corporate phone numbers for many companies prominently in the Search Results. For example, searching for Nest Labs' customer service phone number will yield the following result (courtsey Google Webmaster Official Blog). Google has just launched support for schema.org markup to help webmasters specify their preferred phone numbers using structured data markup embedded on their website. Structured data markup helps search engines understand the content on a webpage. For each phone number, you can also indicate if it is toll-free, suitable for the hearing-impaired, and whether the number is global or serves specific countries. Many people also turn to Google to find and discover local businesses, and the best information is often on a website's contact us or branch locator page. These location pages typically include the address of the business, the phone number, opening hours, and other information. Google has also introduced recommendations about the best way to build these location pages to make them easily accessible and understandable to Googlebot, and more importantly, Google's users. These recommendations cover both crawling, indexing and visual layout suggestions, as well as new structured data markup guidelines to help Google index pages more accurately. In addition to building great location pages, businesses are encouraged to continue using Places for Business, which is a fast and easy way to update your information across Google's service such as Google Maps, the Knowledge Graph and AdWords campaigns.